Supercharge your Website design for improved conversion rates and increased sales! Complete Cloud helps improve your image as an online business by redesigning your website in alignment to your business goals. Improve conversion rates and website sales with our redesign services. The section below provides answers to some of the most frequently asked questions on Website Redesign. "What are the common reasons for a website redesign?" If your existing website is suffering from these issues, it’s time for a redesign. "Should I speak to existing customers?" It may seem like a very straight forward question but it’s important to know what your customers think of your current website and how they would like to interact with you. As you talk to your customers all the time it’s easy to think you know what they are after. Some of the best ideas and business improvements from our website redesign projects have come from clients frustrated with the support process or with returns. A good web design company will make sure to include a customer feedback loop as part of your redesign project. The best way to ensure your website will meet your client’s needs, ask them! "How do I measure a successful website redesign?" If you need help defining your goals or creating a successful website redesign, contact Complete Cloud today. "What is involved in the redesign process?" The website redesign process is similar to the creation of a new website with a focus on achieving the goals the current website didn’t meet. Creating your second or third website is much easier than creating your first website. You have a better understanding of what you are after and what will and will not work for your business and your clients. A good website designer will focus on your key elements for success for the redesign and the goals you are trying to achieve. "Will my website be viewed the same by all visitors?" Your website may appear slightly differently depending largely on the user’s browser and screen resolution. Today’s users will access your website via a wide range of devices including PC’s, tablets and smart phones. We optimise our websites to ensure they are viewed as intended on as many devices as possible. As Smartphone and tablets increase in popularity, its important to note that a users experience on a small form factor device such as a smart phone will differ considerably than an experience on a larger device such as a tablet or PC. If your clients are largely mobile, you can deliver a much more effective experience through a mobile website that will more likely meet their needs. "Can I report on visitors on my website?" Your website will provide you the ability to view reports on the number of visitors to your website and how they got there. Among other reports you can view the most popular pages on your website and how long customers spend reading each page. "How do I launch my redesigned website?" 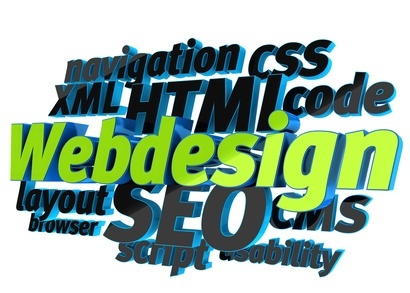 Once you have completed your redesigned website, it’s time to show it to the world. At Complete Cloud we can help you get the biggest bang for your buck and let your customers know that you are ready for business. We can help you identify cost effective ways of communicating with existing and potential customers using your current distributions methods and communication channels. If you want to ensure you get the biggest return from your website redesign, put Complete Cloud to the test. "Is there any training provided with the CMS (Content Management System)?" The CMS (content management system) is very intuitive and very easy to use. As part of deployment of your website we arrange a personal training session and will teach you how to use the CMS for your website. "Why should I hire complete cloud"
At Complete Cloud we are focused on your success. Your website redesign goals will become our critical success factors to ensure your website will meet your goals. If you’re after a website redesign that will instill confidence in your customers and help you rank higher in search engines Complete Cloud is the right choice for your business.